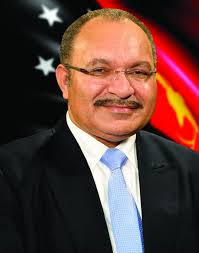 The Department of Trade and Industry (DTI) organized a Roundtable Meeting with top Philippine business executives to welcome Papua New Guinea (PNG) Prime Minister Peter O’Neill and Ministry of Finance James Marape last 16 May 2018. The meeting was organized to spur trade relations between PNG and the Philippines (PH). “We are committed in having Papua New Guinea as a strategic economic partner through greater bilateral trade and investment ties, as well as substantive engagements in APEC. We are optimistic that even as we develop broader links of friendship between our two countries, we can expand opportunities for trade and investment,” said DTI Secretary Ramon M. Lopez. According to the trade chief, PNG can look into investment opportunities in agricultural products as well as oil and gas exploration in PH. Likewise, PH can export more processed food, electronics, machineries and equipment, packaging materials and appliances to PNG. To strengthen trade relations between the two countries, DTI is also proposing a bilateral economic cooperation through a Joint Economic Commission (JEC). “Our relationship with Papua New Guinea in terms of agriculture will be simple: we will train their people, help them develop their areas. And in return, they will assure that we will have enough rice for our people,” said Sec. Piñol. There were 24 top business executives invited to the forum, like International Container Terminal Services’ Ricky Razon and Christian Gonzalez; First Pacific Company’s Manuel Pangilinan; LT Group of Companies’ Dr. Lucio and Michael Tan; SL Agritech’s Henry Lim Bon Liong; Jollibee’s Ernest Tanmantiong; Double Dragon’s Injap Sia; DMCI Sid Consunji; Century Canning’s Chris Po; Frabelle’s Francis Tiu Laurel; and SM Holdings Inc.’s Jeffrey Lim. The event was also attended by PH Ambassador to PNG Bienvenido Tejano and PNG APEC Authority CEO Christopher Hawkins. PH-PNG trade has also covered areas in training and assistance in Airline and Health & Medical Services. There are also Filipino businesses located PNG like the LT Group, and the RD Fishing PNG Ltd and Frabelle (PNG) Ltd., which are both involved in fishing. On November 2018, President Rodrigo Roa Duterte is set to visit PNG along with a group of business delegates.